Welcome back to Reflect and Refresh. In Part 1 of this 2 part series, we talked about Looking Back on the school year and what we thought worked well and things we wish we’d have done. We’re on to Part 2 now and talking about Looking Forward to the new school year with things we want to try or things we will continue doing this school year. Communication – I’ve heard a lot of success stories from my teacher friends that they utilize Instagram to share pictures of their children and their classroom with parents. I think it’s a brilliant idea and something that I really want to try. I will need to whip up a permission slip and talk to my principal about it first, but I really think it would be a great asset for my classroom. I take a lot of pictures of my students throughout the school year and it’s hard to share them via email all the time. But I want parents to see their children how I see them and I think IG would be a great way to do that! 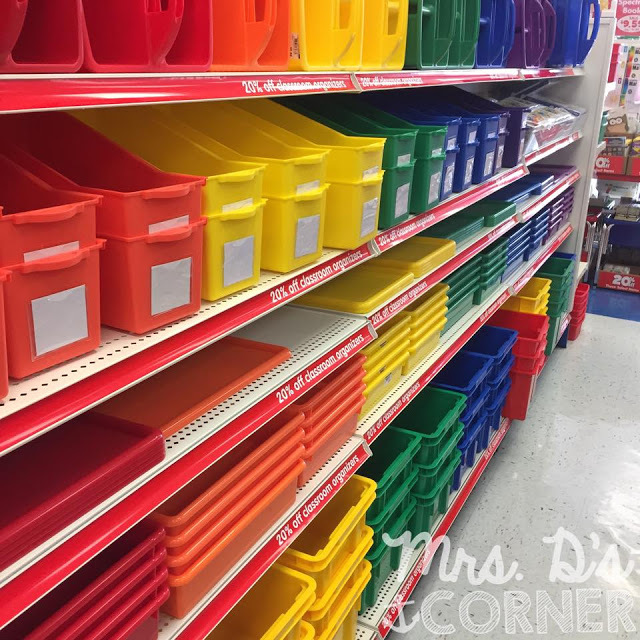 Organization & Classroom Management – Around the middle of last year I started color coding everything in my classroom to make transitions easier and to make my student’s school lives easier. And it worked, and I don’t know why I didn’t do it sooner. So I want to continue color coding my classroom. Stay organized in SPED with Color Coding – Blog Post. 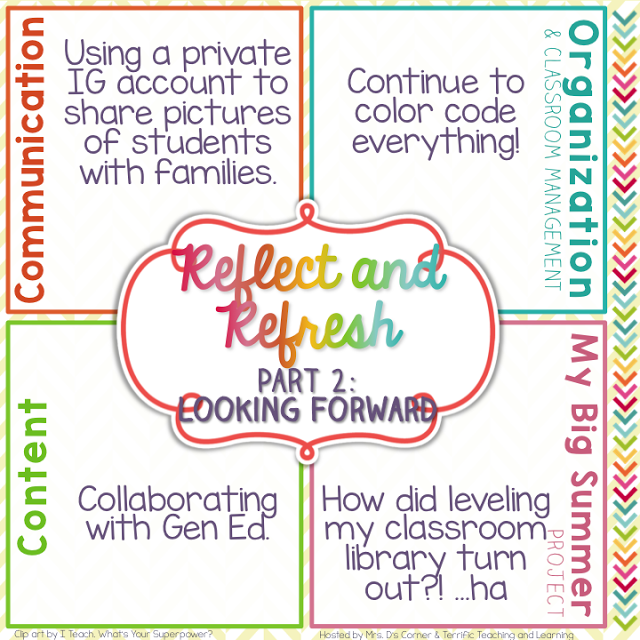 Content – One thing I wished I had done last school year was collaborate more with the general ed teachers, so in the spirit of looking forward, I definitely want to do that more. I’m the Sped Team Leader this year (YAY!) so knowing who the team leaders are for sure will help with that! My Big Summer Project – In all honesty, I have still kind of been putting this off because it’s a HUGE project. Not to mention, I bought so many books at yard sales this summer that I doubled the size of my classroom library (notice the picture above – YES that’s my summer yard sale stash!). 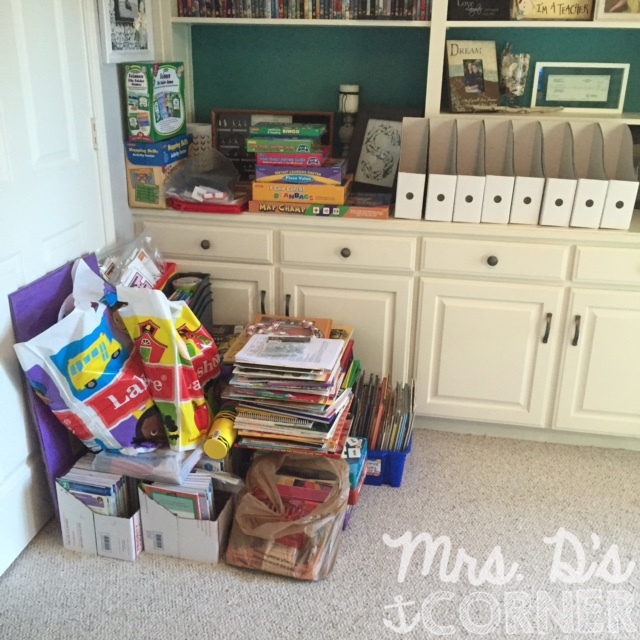 Flash forward: Learn how I organized my classroom library in this blog post. For more tips on building a classroom library on a budget, read this blog post. One thing I do want to work on one day this week is separating the “teacher” books from the classroom library. I purchased these white Ikea book boxes (that you can see are all lined up on my shelf) and plan on using one for each month. I’ve labeled each box for each month of the year, that way when October comes, I can just quickly grab the October book bin and share books with my students during Reading Circle. I’ll store them in one of my closets for safe keeping. What are you Looking Forward to this school year? Tell us in the comments below!